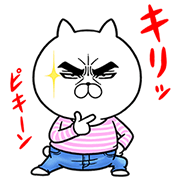 http://www.line-stickers.com/ – Attractive eye’s cat × UNIQLO Line Sticker | With his powerful stare, you may think he’s just a cool cat, but he has a playful side too. 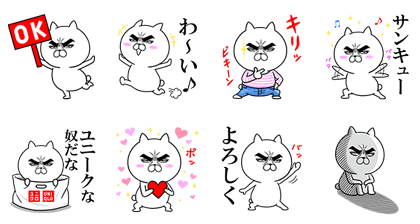 The attractive eye’s cat brings his great gaze to this collaboration sticker set with UNIQLO. Friend UNIQLO’s official account and log in to UNIQLO’s online store to get the set for free. Available till November 21, 2016.